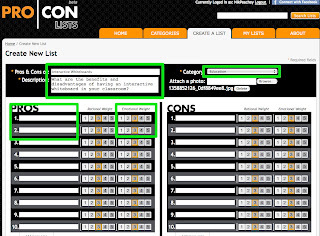 I'm always looking for handy tools that students can use as follow up tasks to online research and Pro | Con Lists certainly looks like a good one. 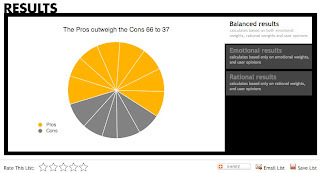 The site enables students to collect together the advantages and disadvantages of a particular subject and create a list of each to see how they balance out. and below it is the balance of the results. When creating the list students can also add to or reduce the influence of some factors and balance emotional and rational factors of each too. It sounds complicated, but these are very easy to produce. Just register and log in and go to 'Create a list'. Give the list a title, select the topic and add a description. You are then ready to start adding the pros and cons. 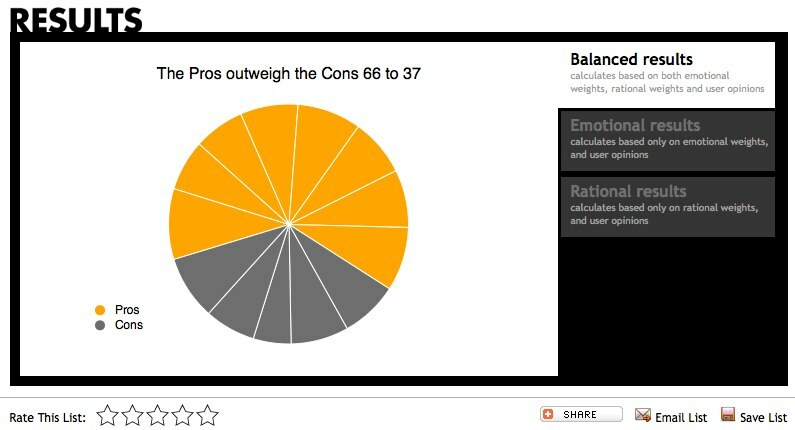 Each of the pros and cons added has a default weight of 3 in both the emotional and rational settings, but students can click on the numbers to increase or decrease the weight if they think the pro or con is more or less significant. Once they have completed their lists they can publish them or share them through a range of social media platforms. Visitors to the lists can then leave comments or agree or disagree with each of the individual pros and cons in the list, simply by clicking on them and voting. 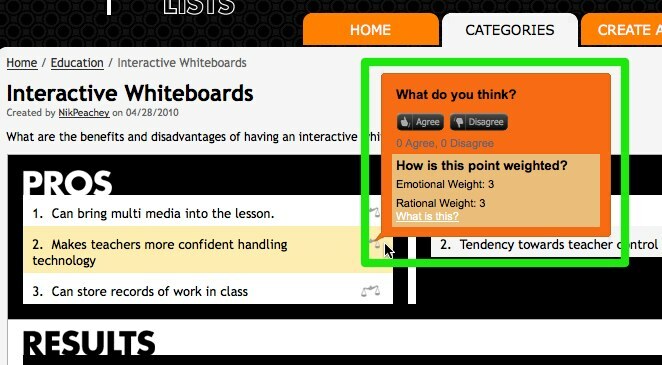 To see how this works I've created a short Pro and Con list on the topic of Interactive Whiteboards. Feel free to comment and suggest more pros and cons. 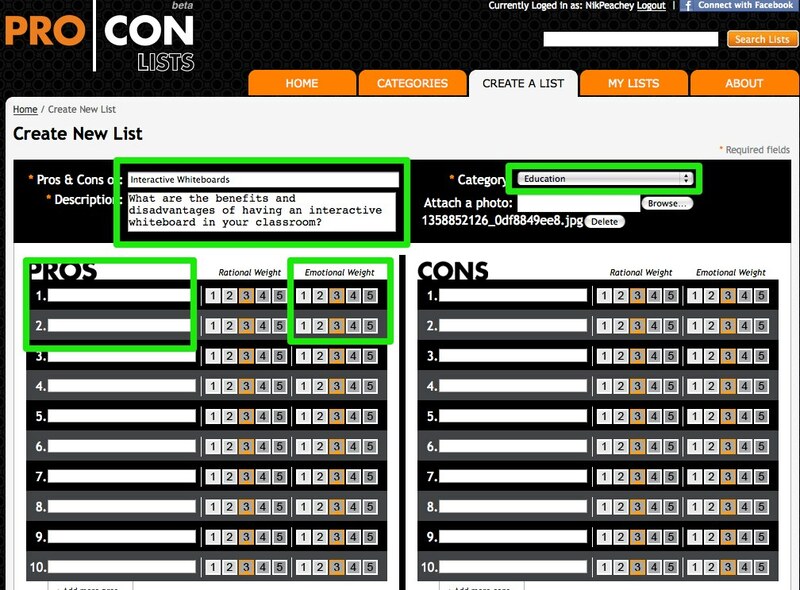 I think Pro | Con Lists is a great way to follow up web based research activities and would work really well combined with something like Mashpedia. 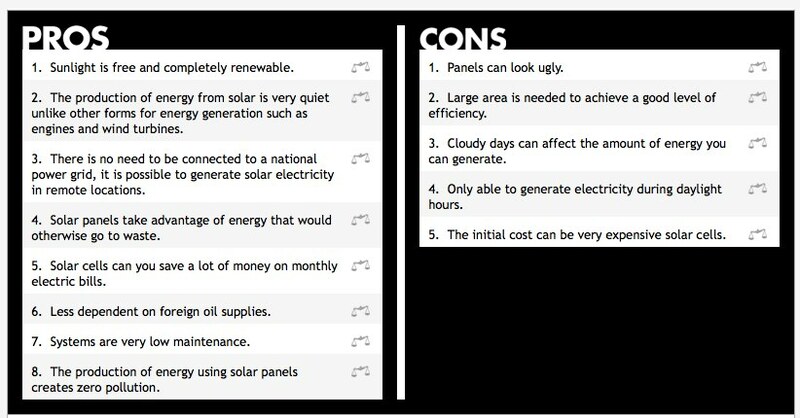 Students could go to the Mashpedia site and search for information on something like wind power, solar power or even different political parties or sporting teams, then use the information they find to create their list of pros and cons. Once the lists are created they could share them with other students and vote on whether they agree with the pros and cons. 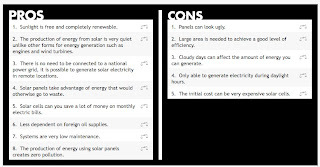 Students could also use the site to brainstorm pros and cons before they do research. This would get them thinking about the subject first and they could then look back at their own lists and see how they could change or modify them. What I really like about the site is that it gets students thinking and evaluating the power of their arguments too. 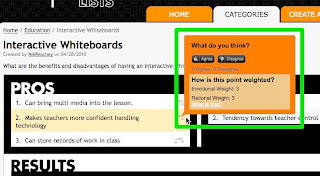 It would be nice if the lists could be added to by visitors, but that doesn't seem to be possible, but I still think this is a really useful tool and one that can be used to create research based reading and listening tasks.